Protection Association, Inc. a non-profit corporation organization under the laws of the State of Illinois. (A) "Association" shall mean the Illinois Horsemen's Benevolent & Protection Association, Inc.
(iv) Improvement of the image of thoroughbred racing in Illinois and relationship between horsemen, other members ofthe racing industry and general public. (v) Maintain constant oversight concerning medication rules as they affect horse racing. The Association shall consist of its members as defined in Article Ill hereof, the Board of Directors and Officers as defined in Article V hereof. This Constitution and Bylaws shall govern the Association. Except as otherwfse provided herein, all proceedings of the Association shall be conducted in accordance with Robert's Rule of Order, Newly Revised, or as otherwise directed by a 2/3 majority vote of the Board of Directors of the Association. The President may appoint and employ, pursuant to Article V, Section 4; shall determine the method of appointment and length of employment and shall supervise the employment and conduct in office of the Secretary-Treasurer and such other employees as he deems necessary. An amendment to this Constitution and Bylaws may be proposed by not less than a (3/4ths) vote of the elected members of the Board or siyned petition from nor less than seventy-five (75) voting members of the Association filled with the Secretary-Treasurer, or with the Board. Proposed amendments need only set forth the substance or sense of the amendment; they may be redrafted in proper legal language by legal counsel after adoption. Proposed amendments to this Constitution shall be retained by the Secretary-Treasurer and shall not be sent out for vote and for possible adoption until proposed amendment has been discussed and approved by the Board of Directors. Except as otherwise provided herein, amendments shall be adopted by the vote of members of the association and approval is indicated by a least a (3/4ths) affirmative vote of those voting. Upon the proposal of an amendment, the Secretary-Treasurer shall mail a copy thereof, together with a ballot and addressed return envelope to each voting member. A ballot postmarked within thirty (30) days and received within forty-five (45) days after such mailing shall be counted in determining the adoption or rejection of the proposed amendment. Ballots on a proposed amendment shall be retained unopen by the secretaryTreasurer until the next meeting of the Board and shall be opened and counted at the direction of the Board. All notes, checks and other negotiable instruments of the association shall be sigled by the President or Vice President or Executive Director and Secretary Treasurer as set forth in Article V below. The entire strength of the Association shall be given in support of any Officer and Director or any member acting officially for the Association who obviously has been discriminated against in the allocation of stalls or in any other respect, on account of his activities on behalf of the Association in accordance with this Constitution and Bylaws. No one, whether a member of the Association or othervvise, shall be permitted to use the name of the association for his personal benefit, commercially or otherwise, without the express permission of the Board. A publication shall only use the name of the Association if it is reviewed and approved by the Board. The Association may designate the Horsemen's Journal as the offcial publication of the association. Each member has the responsibility for Furnishing his correct permanent mailing address, to the Secretary-Treasurer in order that he may receive the official publication of the Association. Section 9 Compensation of Officers Prohibited; Subsistence and Travel Reimbursement. No Officer or Director of the Association, other than the Secretary-Treasurer and Executive Director shall receive anything of value, directly or indirectly, for serving in his official capacity with the Association. Any Officer or Director may be reimbursed for subsistence and travel expense while in travel status on official business of the Association and/or the National Association, and attendance at Board and National Board meetings, except as otherwise restricted in this Constitution and Bylaws. The Association shall represent horsemen and may bargain collectively with racing associations in an attempt to reach agreements with respect to purses and other conditions affecting racing. If, however, an impasse is reached and the Association is unable to arrive at an agreement with a Racing Association concerning purses or other conditions of racing then the sole additional functions of the Association shall be limited to reporting to the horsemen the status of negotiations and the sampling or otherwise obtaining the sentiment of the horsemen with respect to a future course of action. Before contracts may be signed on behalf of the Association, they must have the approval of the Board as provided in Section I I . Neither the Association nor any Officer or Director there of shall, on behalf of the Association, participate in any withholding ofracing entries, provided, however, that nothing herein shall be deemed to limit or control the conduct of any horseman, including Officers and Directors of this Association, from individually entering or not entering a horse at his discretion in any race meeting. It shall be the declared policy of the Association that the Association shall under no circumstance participate with or act jointly with any other organization or association relating to Thoroughbred race horses with respect to (i) purse negotiations or (ii) any matter that could ultimately result in the withholding of racing entries. Any contract that has been executed by Racing Association and the Association shall be in writing and shall be signed by both parties thereto, after being approved by a 2/3 majority of the Board. It shall be made available to the Board and members of the Association for viewing at the Association headquarters and the National Association on request. It shall be declared policy of the association that the Association and all its members shall abide and be firmly bound by any purse contract or other legal commitment entered into by the Association on behalf of horsemen. The Association and all powers of its persuasion and legal means at their disposal to implement this policy. Any owner or trainer of a Thoroughbred race horse who is currently licensed as such by Illinois Racing Board shall be eligible for membership in the Association. Provided, however that any person who ovms less than fifty percent (50%) of one total Thoroughbred race horse, as defined in Article I. , Section 2 (F), shall not be eligible for membership regardless of licensing. No trainer shall be eligible for membership in the Association unless at least fifty (50%) percent of the horses he trains are 0'ömecl by Association members. Any person or entity eligible for membership in the Association shall become a member upon starting a Thoroughbred race horse at the pari-mutual track in Madison County, unless the Association is notified in writing that such a person or entity does not desire to be a member. Any person who has performed some distinguished service to the sport of Thoroughbred racing and who is not already a member of the association may be elected as an honorary member of the Association. Such election shall take place only at a Board meeting. An honorary member shall not be required to pay dues or make contributions to the Association and shall not be entitled to vote or hold office in the Association. The Board can also elect and honor a member posthumously. Honorary membership will require a simple majority for passage. (A) It shall be the duty of every member of the Association to conduct himself at all times in such manner as to merit the respect of the public and the Association; Failure to do this may result in suspension or expulsion. (B) Every member of the Association, by accepting the benefits of membership, agrees to abide by the Constitution and Bylaws of the Association, any order or decision of the Board of Directors, and to accept as final the decision of the Board of Directors after the hearing and agees to hold the Association, its Officers, Directors and Employees hannless for any action taken or not taken. (C) Contributions. Where not otherwise specified by law, contract or other arrangement, each member shall contribute to the Association not less than two (2%) percent of any purse earned by and/or awarded to him. where a contract, law or other arrangement exists befiveen the association and a Racing Association for a different deduction, all horsemen racing at the racetrack of that Racing Association shall be subject to each deduction from any such purse, in lieu of the above described deduction. Thoroughbred race horse, (2) until the close of the calendar year following the last calendar year during which he, or such entity, started such a horse in qualifying race at the racetrack located in Madison County providing that he is licensed and starts a horse within 30 racing days of the current meet, (3) so long as he is not (unless the consent of two-thirds(2/3rds) of the elected members of the Board of Directors of the association has first been obtained) a member of any other rival organization that represents owners' and trainers' interests and property rights in negotiating agreements with Racing Association covering purses, pony lead fees, television rights, simulcasting, off-track betting or interests on owners' deposits in horsemen's bookkeeper accounts, and (4) unless he earlier resigns, is suspended, or is expelled by the Association, as provided herein. that effect or by knowingly accepting a check from the horsemen's bookkeeper from which no such deduction pursuant to the provisions of Article 111, Section 4(c) has been made and not having corrected the deficiency promptly upon demand. (C) Suspension or Expulsion A member of the Association may be suspended or expelled from membership by nvo-thirds (2/3rds) vote of the elected members of the Board of Directors, following a hearing for violation of any provision of this Constitution and Bylaws, or illegal, unethical or unsportsmanlike conduct, or failure to remain in good standing in accordance with the rules of racing adopted by state or states where the Association's membership exists. A member shall be given reasonable notice of the hearing and shall have the right to be heard in person or by counsel and to introduce evidence on his behalf. (D) "Reasonable notice" for the purposes of this Section, and of this Constitution and Bylaws shall mean a ten (10) days' notice which shall be sent by certified mail to member at the address shown on the roster of the Association, and which ten-day period for notice whether received or not, shall commence to run on the day following the date of mailing of the notice as evidenced by the postmark thereon. All Association elections shall be under the supervision of the Board of Directors. An Election Committee of three (3) members shall be appointed by the Board of Directors no less than Sixty (60) days before the first nominating meeting. The three (3) members appointed to the Election Committee shall be neither members of the Board nor candidates for any office in the Association. The Election Committee shall be responsible for seeing that the election is run in accordance with the Constitution and Bylaws. The Election Committee shall attend the opening and counting of the ballots. An election shall be held every three (3) years to elect a President and Board of Directors, who shall hold office during their tetm and until their successors are elected. At least sixty (60) days before the general nominating meeting called for the purpose of receiving nominations for President and members of the Board of Directors, the Board of Directors shall appoint a Nominating Committee consisting of not less than three (3) members for the purpose of making nominations and receiving suggestions and nominations from membership. The Nominating Committee shall hold one or more meetings of the Nominating Committee, one of which must be prior to the general nominating meeting. "Ihe Nominating Committee shall hold a general nominating meeting, open to the members of the Association, to receive nominations from the floor, nominating petitions and to announce its nominations. All nominees must be members ofthe Association. When more than one general nominating meeting is held, the date of the last general nominating meeting shall be deemed the date of each candidate's nomination. The Nominating Committee shall neither make nor accept any nomination after adjournment of the last general nominating meeting. There shall be at least one general nominating meeting at a track considered to be a major track within the jurisdiction of the Association. There must be at least thirty (30) members of the Association present at said meeting to constitute a quorum. Those members shall sign a list evidencing their present. Nominations by the Nominating Committee shall not require seconds. A nomination from the floor will be accepted if it receives the endorsement of not less than three (3) members presence at the meeting, which shall include the nominator and two (2) seconds, or is accompanied by a petition signed by no fewer than thirty (30) members of the Association. The General Nominating meeting may be videotaped if a petition of no less than 30 members is signed and given to the Nominating Committee 15 days before the General Nominating meeting. Written notice of the general nominating meeting must be given to the membership of the Association by mailing newsletters or postcards to all members at least twenty (20) days before said general nominating meeting, either of which shall inform each member of his right to nominate one or more candidates for office in the Association, the methods of doing so, the date, the time, and place of the general nominating meeting and all other information necessary to fully inform each member about the Association's election process. After verifying that the nominee is eligible. the Secretary-Treasurer shall notify each candidate of his nomination by certified mail as soon after the nominating meeting as possible. (D) He is not a member, officer or director of rival associations of Thoroughbred horsemen, and has no other relationship that involves a conflict of interest as defined in Alticle IV, Section 5. No activity commonly referred to as "political activity" shall be allowed by candidate for office and/or any member on behalf of such candidate after the general nominating meeting. No campaign material, other than the biographical statement, shall be permitted except for oral solicitation of votes on a person -to-person basis or by telephone. No candidates may authorize or knowingly permit any articles, statements, or pictures about him to be published which could be construed as campaign material or "political activity" after the general nominating meeting in any H.B.P.A. related publications. There shall be no distribution of marked sample ballots, nor any placards or banners endorsing any candidate or slate of candidates. If any political activity electioneering or distribution of campaign material shall be engaged in on behalf of a candidate in violation of this Section with the knowledge and consent of a candidate. The candidate may be disqualified as a candidate for office or from taking office. A candidate may run for President and for Director at the same time but may serve in only one of such offices if elected. A protest to a candidate or an election must be in writing and sent by certified mail to the Secretary-Treasurer at the Association's headquarters within seven days following the discovery of facts supporting said protest, failing which, such protest shall not be considered valid. The burden shall be upon the protestant to prove that his protest is fmely. Each protest shall contain a complete and definite statement of the facts that constitute the alleged violation. The protestant must be prepared to substantiate the personal testimony at a hearing or by sworn testimony, wimesses or other relevant evidence. All expenses of any kind whatsoever incurred by protestants and those persons charged with violating any election n.lles shall be assumed and paid by the Association on behalf of any candidate for office or protestant. An elected candidate shall take office seven calendar days after his election. The lodging of a protest of an election or a candidate shall not affect the status of an elected Officer or Director until a hearing has been held in accordance with this Constitution and Bylaws. Voting shall be by secret ballot. All voting and election procedures shall be supervised by a neutral election monitor ("the Monitor") to be selected by the Board ofDirectors and retained by the Association for the purpose of insuring that the voting and election procedures conform to this Constitution and Bylaws. Approval of two-thirds (2/3) of the Directors shall be necessary for selection of the Monitor. (D) A return envelope addressed to the Monitor that shall have a space in the upper left hand corner for the signature and the typed or printed name of the member, and that shall have the word 'ballot" and the name of this Association appearing on its face. Said return envelope shall be sent by U.S. mail, postage paid, or shall be marked to indicate that postage will be paid by addressee. The Secretary-Treasurer shall use the membership roster of the Association, which shall be validated by the Monitor, to provide the Monitor with the information needed for mailing of the ballots. The Secretary-Treasurer shall maintain on a current basis the membership roster. Prior to the mailing of the ballots, the Secretary-Treasurer or another duly authorized representative shall use reasonable efforts to confirm the identity and address of each voting member. The Secretary-Treasurer shall send the current membership roster to the National Association upon request. The membership roster shall be open to inspection at the Association's headquarters by any member of the Board, the Nominating Committee or the Election Committee, and any member in good standing. The Secretary-Treasurer or the Monitor shall present the same material to any member in person who requests the same in person on the grounds that he has not received one by mail- The member shall be required to sign a receipt indicating that they have received the material. A member shall vote by marking his ballot, enclosing and sealing it in the unmarked envelope, enclosing and sealing that envelope in the return envelope addressed to the Monitor, making certain that his name is printed or typed in the upper left hand corner, signing in the upper left hand corner and posting the envelope. Failure to enclose a ballot in the unmarked envelope shall not in and of itself constitute grounds for voiding said ballot. All ballots that are received prior to the close of business on the day narned for the election shall have the date and time of receipt noted by the Monitor. Counting the ballots shall be under the supervision of the Monitor. The Secretary Treasurer, Executive Director and the Election Committee shall attend the counting of the Ballots. After being counted, all ballots, envelopes and tally sheets shall be sealed and retained in the custody of the Monitor for a period of not less than one year, or in the event of a protest, until the final disposition is determined. In the event of duplicate voting only the latest ballot will be counted. If an envelope is received with more than one ballot enclosed, neither ballot will be counted. Results of the election will be posted on the Association's web-site as soon as the Monitor has reconciled the tally sheets. The Board of Directors shall have the power to authorize an election for the Association that varies from the provisions of this Constitution upon written request of not less than 2/3 of its members and then only for proper cause. Any Association election that fails to follow the procedure authorized in this article shall be subject to protest. The Board of Directors shall determine the validity of the protest and may decree the prompt holding of a new election in whole or in part. Section 5. Election of the Board of Directors. (A) He has been a member in good standing of the Association as described in Article I I I for at least 50% of the Racing Season during the two years immediately preceding the date of his nomination. (B) He is a member as defined in paragraph (A) on the date of his nomination and remains eligible as such at all time thereafter. (C) An owner candidate must have started one or more horses, in which he has at least a (50%) owmership, at least three times while a member in the Association in each of the two years immediately preceding the date of his nomination. A trainer candidate must have three staffs while a member in the Association in each of the two years immediately preceding the date of his nomination. Vacancies on the Board other than President shall be filled by naming that DirectorCandidate who received the highest number of votes in the appropriate classification. Section 6. Election of the President. (A) He has been a member in good standing in the Association as defined in Article I I I for at least 50% of the Racing Season during each of the three years immediately preceding the date of his nomination. (B) He has started one or more horses a minimum of five times while a member of the Association, preceding the date of his nomination. The term "Racing Season" means the number of racing days awarded by the Illinois Racing Board at the pari-mutual track in Madison County in a calendar year. Section 7. Election of Vice President (s). The Board of Directors may elect up to nvo Vice Presidents from among its owners or trainer Directors. Candidates for Vice President must meet the same requirements as the President, set forth in Section 7, above. The Board shall designate the number of Vice Presidents and the order precedence. In the case of the resignation, inability to serve because of illness or death of the President, the first Vice President shall become the President. The second Vice President then becomes the first Vice President. The Board of Directors is the governing body of the Association and is responsible for the overall health and effectiveness of the Association. The members of the Board are responsible for overseeing the Association's activities and providing ongoing support and guidance for the Officers and Management of the Association. The Board defines the Association mission and strategies, approves an annual budget. monitors the Association's programs, services and public image. Also, the Board serves as a court of appeals for unresolved issues, ensures plans and programs are working and assesses performance ofhired Management. Members of the Board shall each serve for three years and until their successors have been duly elected and qualified. If any member of the Board resigns, is unable to serve because of illness or death or is absent at least three consecutive Board meeting in a row without having been excused by a majority vote of the elected membership of the Board after any absence, his position on the Board shall be declared vacant. A vacancy on the Board regardless of how it occurs shall be filled by naming that Board candidate who received the next highest number of votes in the last election, owner replacing owner and trainer replacing trainer. If there is no available alternate, the vacancy shall be filled by the majority vote ofthe elected members of the Board. Six members of the Board shall constitute a quorum for the conduct of business. The President shall be entitled to make motions, second motions, and vote as a member of the Board. Proxies shall not be accepted or permitted. However, telephone polls or votes for the Board of Directors are permitted if conducted personally by the President or Secretary-Treasurer and 100% of the Board is so contacted on any issue. The Board shall hold at least four meetings each year with one being held in each quarter, and such additional meetings as the welfare of the Association may require. The Board shall supervise all affairs of the Association and shall be governed by and subject to the constitution and bylaws. (2) A decision of the Board may be appealed by any member aggrieved thereby to the Executive Committee of the National Association if made in writing within fifteen days of the date of the Board's decision mailed to the National Association headquarters. The aggrieved member upon appeal receives a de novo hearing in accordance with the provisions of this section. With respect to any decision made by the Executive Committee of the National Association in any matter appealed to it, the authority ofthe National Association shall be advisory only. 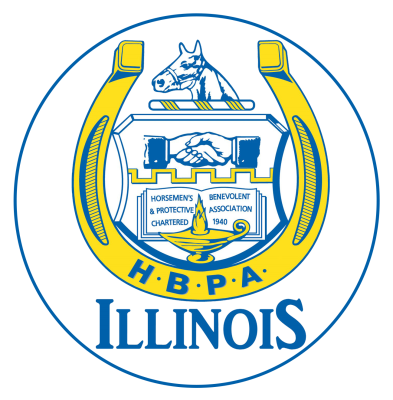 The Illinois H.B.P.A. Board shall have the final decision in all matters. (A) A charge or protest may be made to the Board by any member against any member for violation of any provision of the Constitution and Bylaws. It shall be in signed by the protester, and addressed to the Association. It must be received within a reasonable time after the discovery of the act complained of. (B) A protest or charge must state the ftlll name and address of the protestant, accuser, and the accused and shall contain and definite statement of all the facts that constitute the alleged violation. The maker must be prepared to substantiate the protest or prove the charge by personal testimony at a hearing or by sworn statements, witnesses' or other relevant evidence. (4) The Association may investigate any protest, charge or alleged violation, and present evidence concerning any protest. charge or alleged violation at its discretion. (A) With respect to any protest or charge, any ofthe following shall preside on any pre-hearing matters and/or at the taking of evidence: (i) the Board; (ii) one or more members of the Committee appointed by the President with the advice and consent of the Board; (iii) a hearing officer appointed by the President with the advice and consent of the Board. The functions of any presiding person or persons participating in any decision shall be conducted in an impartial manner. A presiding or participating person may disqualify himself at any time. On the filing, in good faith, of a timely and sufficient affidavit of personal bias or other disqualification of a presiding or participating person, the Board shall determine the matters as a part of the record and decision in the case. (B) Subject to the- Constitution and Bylaws, a person presiding on pre-hearing motions and at hearings shall give all parties a fair hearing and act as authorized herein. ​ (C) When the Board has not presided at the reception of the evidence. The presiding or participating person shall initially decide the case unless the Board in its discretion and before decision has been made requires the entire record to be certified to it for a hearing and decision. When the presiding or participating person, other than the Board, makes an initial decision, that decision shall become the decision of the Association without further proceedings unless there is a written appeal to the Board or review on written motion of the Association within fifteen days from the date of the initial decision. On appeal from the initial decision, the Board shall not review the findings and recommendations, but will determine only whether the Constitution and Bylaws were properly interpreted and applied. The Board in its sole discretion and on its own motion may, after initial decision, review the entire record of an initial hearing or any issue or finding recommendation contained therein or hold a new hearing as well as determine whether the Constitution and Bylaws were properly interpreted and applied. (D) When the Board elects to render a decision without having presided at the reception of the evidence, the person who presided at the hearing shall first recommend a decision to the Board, which shall be in writing and includes a finding and recommendation. (E) The record shall show each finding and recommendation. All findings, recommendations, and decisions, whether initial or final, shall be a part of the record. the hearing. Accused persons may attend the hearing at their option and may bring wimesses, sworn statements or other relevant evidence on their behalf. (G) Any application for continuance made prior to a hearing shall be in writing, shall set forth the reasons therefore, and shall be filed with the SecretaryTreasurer or hearing officer appointed to hear the matter after giving notice of such application by mail or otherwise to all parties and/or their attorneys. An application for continuance of any hearing must be received by the hearing officer at the address of the Association at least five days prior to the time set for said hearings. (I) No member, Director, or Officer shall be suspended from his office or from membership in the Association until a final decision is rendered after hearing in accordance with this Section. (J) The Board of Directors may authorize the Secretary-Treasurer of the Association to purchase Officers and Directors liability insurance at the expense of the Association. The Board of Directors may, by means of the Horsements Journal, a newsletter prepared and issued by the Association at the direction of the Secretary-Treasurer, or a general membership meeting maintain a close liaison with the membership of the Association and shall keep the membership informed concerning all Association business, its own deliberations, and all other matters of interest to horsemen. The President and Board of Directors shall cause a financial review to be made of the books of the Association at the end of each calendar year that shall be performed by an independent certified public accountant. The financial records of the Association, including the financial review thereof, shall be open for inspection at the Association headquarters by any Director and, for any proper purpose, by any member in good standing, subject to a determination by a 2/3rds majority of the Board that permitting such inspection would violate the privacy rights of another individual or would otherwise be for an improper purpose. (F) Bank Accounts; Association Obligations. President, Executive Director, and Secretary-Treasurer. All Association funds shall be deposited in banks in amounts not exceeding amounts guaranteed by the United States Government or invested in obligations guaranteed by the United States Government. The President, Executive Director and Secretary-Treasurer, at the cost of the Association. shall be bonded in such amounts and in such manner as determined by the Board. Section 2. The President and Executive Director. The_President, Executive Director, Vice President and Secretary Treasurer shall be the Officers of the Association. The Executive Director shall be the Chief Operating Officer of the Association. The President, Executive Director or Vice President shall call and preside at all meetings of the Association and of the Board of Directors and shall detennine the agenda for each meeting. (A) The President, Executive Director or Vice President shall sign all checks drawn by the Secretary-Treasurer for the payment of bills approved by the Finance committee and to carry out their responsibilities under the Constitution and Bylaws. (B) The President, Executive Director or Vice President shall report to the Board any irregularities or derelictions on the part of the Secretary-Treasurer or any other members of the Board. (C) The President, Executive Director or Vice President shall with the advice and consent of the Board, appoint members of all standing and special committees, except as otherwise provided herein. (D) The President, Executive Director or Vice President as set forth under Section 3 shall be an ex officio member of all standing committees of the Board. (E) The President, Executive Director or Vice President shall notify the Board forthwith of any charges brought against any Officer's or Director's right to race, or for the violation of this constitution and Bylaws. (F) The President or Executive Director shall call at least one general meeting and at least four Board meetings as set forth in Article V, Section I (B). and such additional meetings as the welfare of the Association may require. They shall, upon written petition of fifty or more members of the Association, call a general membership meeting within fourteen days if a race meeting is in progress and thirty days if no race meet is in progress. A petition for a general membership meeting must state the primary purposes or issues for which the meeting is called. The meeting must be held in immediate race-meeting vicinity where the issues or purposes for which the meeting was called. This requirement shall not prevent the consideration of other issues at the meeting. Decisions, recommendations and resolutions passed at a general membership meeting shall be advisory only. A minimum of three Board members may call for meeting of the Board by contacting the President with the subject matter of said meeting. (G) They shall cooperate with the Board in maintaining liaison with the membership and keeping it informed. (H) They shall not sign any signature cards for any bank accounts or deposits in any financial institutions, or sign any notes, negotiable instruments or obligations of the Association except as specifically allowed by the Constitution and Bylaws. A Vice-President shall fulfill, in the order of designation if there is more than one Vice-President, the duties of the President in the event of his temporary absence. In the event of the resigmion, expulsion, death, permanent disability or disqualification of the President, a Vice-President, in the order of designation, shall succeed to the office of President of the Association. The Secretary-Treasurer and all other employees of the Association shall be appointed by the President with the advice and consent of the Board. The Secretary-Treasurer may be dismissed by the President for failure to perform the duties of that office as provided for in the Constitution and Bylaws or for a fraudulent act. The Secretary-Treasurer shall not be a member of the Board nor have a vote thereon. The policy of severance pay for the Secretary-Treasurer is: one week's salary per year of service with a maximum severance pay of three months. Under no circumstances will severance pay be paid if any offce staff or Secretary-Treasurer commits a fraudulent act. Severance pay will only be paid to the Executive Director and the Secretary-Treasurer. Severance pay for the Executive Director shall be one month's pay for each year of service with a maximum severance pay of three months. The denial of severance pay based on a fraudulent act is contingent upon the President and Board to bring charges against the person denied severance pay. (E) Require banks designated as depositories for Association ülnds to send cancelled checks and bank statements monthly, which the Secretary-Treasurer shall keep on file for a period of not less than five years. (I) Make available to members a copy of any executed contract and/or purse agreement for inspection at the Association headquarters and keep the ori$nal copy of the Bylaws with the date of the last revision and provide copies as required. (J) Notify the Board forthwith of any charges brought or anticipated to be brought against any Offcer or Director ofthe Association that may involve such Offcer's or Directorls right to race, or allegations of nonfeasance and misfeasance under the Constitution or Bylaws. (L) Perform such other duties as may be directed by the President and the Board. 2) the Board in good faith determines, after reasonable investigation and consideration of all of the facts and circumstances, that the Association could not obtain a more advantageous an-angement under the circumstances and such contract or transaction is in the best interest of the Association; and 3) the Board, by a 2/3 majority vote, approves and authorizes the contract or transaction. The Director, Officer or Employee involved in the conflict shall not vote nor authorize any such transaction or contract where a conflict exists or has been alleged. No person who or whose spouse is an officer or director of, or employed by a racing association, commission, rival racing or other organization involving a conflict of interest or owner of a beneficial interest in a business operated on a racetrack shall be put on the ballot as or be a candidate for President or Director of the Association, provided that this prohibition may be waived by a two thirds vote of the elected members of this Association's Board of Directors and any such waiver shall be deemed for all purposes as a finding that such waiver is in the best interest of the Association. Notwithstanding the foregoing, such a candidate may make himself eligible without first obtaining Board approval by resigning his or having his spouse resign her position with any such other association prior to the member being placed on the ballot upon providing satisfactory proof of such resignation to the Board of Directors. To the extent any such conflicts exist and are waived by the Association's Board of Directors, then the member affected by the conflict of interest shall not have the right nor be empowered to vote or otherwise take any action in his capacity as an Officer or Director with respect to any action or activity relating to the organization which created the conflict of interest. (A) The Board shall choose three of its members to serve as members of a Finance Committee. Before payment, the Finance Committee shall approve all bills of the Association. It shall cooperate with and assist the Secretary-Treasurer to assure that all bills can be paid on or before their due date. It shall supervise the financial affairs of the Association, the issuance of checks, collection of receipts and the keeping ofproper records relating thereto by the Secretary- Treasurer. Once per quarter it shall receive and review the check register. The Secretary Treasurer shall provide any back up documents that the committee might need in their review. (B) There shall be an Election Committee as provided in Article IV, Section I. (C) The President may appoint an Advisory Committee with advice and consent of the Board. The Advisory Committee shall consist of Owners and Trainers or other persons whose advice may prove valuable to the Board. Members of the Advisory Committee shall attend meetings of the Board whenever possible. They shall not have a vote. They shall meet at the call of its Chairman and at the call of the President .1t shall furnish advise and assistance to the Board. (D) The President shall appoint a Backstretch Committee with the advice and consent of the Board. It shall consist of three members. (F) The President shall form a Benevolence Committee consisting of three Board members to assist the Secretary Treasurer in decision making concerning monies allocated to help eligible members of the Association. There shall be at least one general membership meeting of the Association each year, and such additional meetings as the welfare of the Association may require. Fifty voting members shall constitute a quorum for the transaction of all business at general membership meetings of the Association, but a lesser number may adjourn a meeting from time to time pending attendance of a quorum. Section 8. Limitations on this Association. (A) If the Association is unable to arrive at an agreement with a Racing Association concerning purses or other conditions of racing, or if the Association shall for any other reason anticipate a desire on the part of the horsemen not to enter their horses in races. the Association, the President, Executive Director and Board shall utilize all powers and legal means at their disposal to assure that no such cessation of entries takes place without a general meeting of the horsemen being called and held. (B) The Racing Association and any other party at interest shall be sent notice of said meeting, and shall be given an opportunity to appear and present its side of the controversy. The meeting under no circumstances shall be held sooner than three days after such notification to the Racing Association and to any other part at interest. (C) The Association may not obligate itself for legal or attomey's fees or institute litigation without the 2/3rds prior consent of the Board. (D) Except for the right to vote, hold office, and enjoy the rights, privileges and benefits elsewhere provided in the Constitution and Bylaws, the Association shall provide to non-members the benefits provided with funds derived from contracts with a Racing Association where the Association is designated there in as the organization representing all and / or a majority of the horsemen who race in the jurisdiction ofthe Association or from a statutory allocation to a racino Association or the provisions of state laws enacted for and/or having that effect; failing which, the provision of such benefits shall be made only at the discretion of the Association upon a favorable vote of a majority of the elected members of the Board. For the purposes of this section the term "Member" shall have the meaning set forth in Article 1 1 1 hereof and the term "non-member" shall mean one who does not possess and/or fulfill the requirements set forth in Article 111 hereof for membership in the Association. National Association. For so long as the Association remains a member of the National Association it will adhere to the procedures and advisory options of the National Board pursuant to its appellate jurisdiction as provided in Article V, Section 6 of the Constitution and Bylaws of the National Association. The Association shall indemnify any Director or Officer against expenses actually and reasonably incurred by him in connection with the defense of any action, suit or proceeding to be liable for negligence or misconduct in the performance of this duty to the Association. Secfion 2. Expenses for which indemnification provided. Indemnification may be against judgments, penalties, fines, reasonable settlements and reasonable expenses including attorney fees actually incurred by the person entitled to indemnification in connection with the action, suit or proceeding. No indemnification shall be provided, however, for any person with respect to any other matter unless he has given written notice thereof to the legal counsel of the Association promptly after he has received notice of the claim giving rise to the action, suite or proceeding.